In 1995, The New York Review of Science Fiction published an essay by Brian Stableford called "How Should a Science Fiction Story End?" Stableford argued that most genre fictions have an implied ending. If you are reading a crime story, the implication is that the resolution of the story will somehow involve the resolution of the crime. A love story will end with the confirmation or the sundering of a relationship. War stories lead to some form of victory or defeat; heroic fantasy restores the king; medical dramas restore someone to health (which is as likely to be the doctor as the patient); a fairy tale works resolutely towards the transformation (ugly duckling into swan) that will guarantee a happy ever after. There are many forms these endings might take, and writers will always find ways to subvert the idea, but even when the author does not reveal whodunit there is a knowingness to the subversions. Both writer and reader are aware that the rules have been deliberately bent. Since the ending is where the structure of a story has to become explicit, what Stableford is doing here is identifying genre with story structure. But a science fiction story has no implied ending; it is not the structure of the story that identifies it as science fiction. Indeed, a science fiction story might readily take on the structural coloration of a crime story, a love story, a war story, or what have you, and when it does the story arc will take us to the expected ending of that genre. If science fiction is a genre, therefore, it is a very different kind of genre than all of these others. Stableford cannot quite bring himself to take the step his insight might suggest, and question the generic status of science fiction. He seems content to accept science fiction as a genre of a different kind without delving too closely into what that might mean. 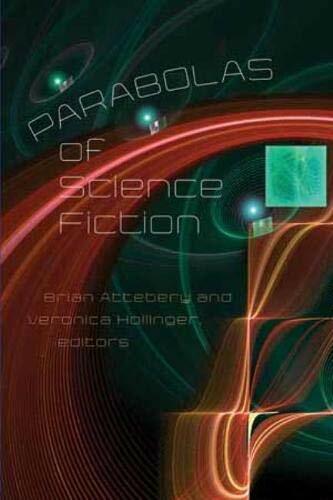 However, Brian Attebery, starting from a similar position to Stableford regarding the open-endedness of science fiction stories (though seemingly unaware of Stableford's earlier essay, which he does not reference), does take that further step in an essay called "Science Fiction, Parables, and Parabolas" which first appeared in Foundation in 2005. That essay, somewhat expanded, forms the first chapter of this book, and is the inspiration behind the other essays collected here. A parabolic orbit may, at any one point, be mistaken for an ellipse, but it opens to infinity. Applying this image to fiction, we may see that the generic stories identified by Stableford, and by so many others, are closed: the solution to the crime closes off the story. Whereas science fiction is not governed in this way; as the editors put it in their introduction: "science fictional parabolas take us from the known to the unknown. The known elements usually include a location, an initial situation, a set of character types, and a problem. Once these are established, though, each writer is free to determine the outcome and meaning of the story" (p. viii). These "elements" might be what I have elsewhere called "strands," what Gary Wolfe identifies as "icons," or what we also refer to as "tropes," that set of characteristics that allow us to identify a story as science fiction. The presence of these elements helps to determine that what we are reading is a science fiction story, but they do not, they cannot, determine where that story goes. In Stableford's terms, there is no science fiction ending; in Attebery's terms, the stories open to infinity. In its simplest form, therefore, the idea of the parabola applies to the story arc, what happens in any individual novel, film, television series, computer game, or any other iteration of science fiction. If that was all that the term did, it would be a moderately interesting addition to our critical lexicon, but not much more than that. What Attebery has done, however, that turns the idea into an incredibly powerful critical tool, is look at the way that the science fictional parabola intersects with what we have come to call the "SF megatext." When I first became involved in science fiction, it was a commonplace that science fiction was in conversation with itself. "Conversation" was a term that was widely and indiscriminately used by writers, critics and fans alike to describe the way that one story would echo or contradict elements of another. Thus, to use an example suggested by the editors in their introduction, Isaac Asimov responded to a plethora of killer robot stories by introducing the three laws of robotics. Once this notion was in the public domain, a number of writers adopted it almost without question, and a host of robot stories subsequently appeared in which the three laws were a (generally unspoken) assumption. Equally there were writers (one thinks, for example, of John Sladek with Roderick ) who saw the three laws as silly, limiting, or unrealistic, and so wrote robot stories that deliberately circumvented, ignored or went against the three laws. Thus an idea would resonate between different writers gaining, it was said, added depth, complexity, or color as it went. This notion of the conversation has, itself, gone through refinement and expansion over the years, and has now become the megatext. One simple way of describing the SF megatext might be to think of it as the standard SF toolbox, those elements, strands, tropes, icons, or devices that barely need to be explained in an SF story because they have been absorbed by an SF reader almost by osmosis. We haven't all read Mary Shelley's Frankenstein , but we know its central tropes (the creature abandoned by its creator, the failed experiment, the scientist playing god) because of the way they resonate through all the science fiction since then that we have read. That resonance, that conversation, is the parabola; tracing the ways that megatextual elements open out towards infinity, therefore, provides a fascinating tool for examining the different contexts and understandings of science fiction. This isn't entirely unproblematic, of course. If we think of the megatext as a sort of repository of all the science fiction that has been written over the centuries and around the globe, then our knowledge of it can only ever be partial. Furthermore, it is ever-changing, since each new piece of science fiction written must add its mite to the vast wealth stored here. What we are dealing with, really, is not one science fiction but many science fictions, and what we access in the megatext is that portion of it that meets our requirements or matches our interests. Attebery recognises something of this when he says that "Sf has at least two histories" (p. 5), one is a primarily American phenomenon originating in the pulp magazines of the 1920s, the other "is as much European as American; it has less to do with technological details than with philosophy and satire" ( ibid ) and its prototypes reach back to Thomas More, Francis Bacon, Cyrano de Bergerac, Jonathan Swift, Mary Shelley, and so on. In one sense this is a pragmatic response to the many historical disputes that mark the critical study of science fiction. Whether we identify Kepler’s Somnium or Shelley's Frankenstein or Gernsback's Amazing as the originator text makes a profound difference to how we view science fiction, but it can also mean that a lot of critical discourse is at cross purposes. Simply saying that there are at least two histories cuts through the disputes and allows us to incorporate into the megatext what we will. What Attebery doesn't quite say, however, is that no one thing can have two contradictory histories, so declaring that SF has two histories is the equivalent of announcing that science fiction does not exist as any sort of thematic or generic unity. As John Rieder put it in "On Defining SF, or Not" (2010): "sf has no essence, no single unifying characteristic, and no point of origin" (quoted, p. xv). Science fiction, therefore, is not a genre. It is, rather, a set of tools (the future, the alien, the generation starship) that can be accessed as required to suit various literary (or filmic, televisual, dramatic, graphic) needs, in exactly the same way that historic fiction is a set of tools (the past, strange cultures, wars) or contemporary realist fiction is a set of tools (the present, our culture, our technology). The three blend seamlessly one into the other as the writer takes what the story requires, but they are not in themselves the story. Though Attebery does muddy the water slightly by pointing out that "parabola" is the root word for "parable," hence "Sf is parabolic in both senses: an open-ended curve and a vehicle for significance" (p. 15). I'm uncomfortable with the way Attebery brings parable into the mix here, in part because it seems to ally his view of science fiction with the second and longer of the two histories he has laid out (the one I prefer myself, but it adds a partiality to this work that is unnecessary), but more because there is a danger that it could narrow down the very thing he has been at pains to open out. A parable is a story, and if we look too closely, too fixedly at science fiction as a parable, then we are back to a generic vision in which our attention is on what the tools are used for rather than the tools themselves. That said, most of the contributors to this book pick up on the idea of SF as parable, if at all, only briefly and in passing. The two essays that most keenly respond to the idea of the parable are the two that examine science fiction in the context of a non-Anglophone culture. Rachel Haywood Ferreira does this most adroitly in "Second Contact: The First Contact Story in Latin American Science Fiction" which examines the way that the parabola of the first contact story is subtly transformed by Latin American writers. First Contact is quite obviously a trope that is associated with colonialism, bur Ferreira illuminates the way that writers who are themselves from a colonized society shift and refocus the thrust of the story. Amy J. Ransom's "Parabolas of SFQ: Canadian Science Fiction in French and the Making of a 'National' Subgenre" is perhaps less radical because the political point being made by the authors concerned is expressed as much by the language used as by the story told. Nevertheless, both essays tellingly reveal the flexibility of familiar SF tropes in responding to different cultural and political needs and contexts. One of the most significant ways in which SF reflects different social and political situations is in where it places women, an issue that is at the heart of four of the essays here (and finds echoes in some of the others). Jane Donawerth, in "Katherine MacLean's Short Science Fiction and Cytology: Science as Parabola," deals with one of the female SF writers who emerged well before the impact of feminism upon the literature, and who consequently found herself unjustly ignored by many male commentators and denigrated by a later generation of feminist critics. Donawerth's analysis of the way MacLean used her knowledge of biology to upset male paradigms gives her the serious attention she deserves but so rarely achieves. Pleased as I am to see MacLean receive such overdue attention, however, I am not entirely convinced that the notion of parabolas adds a great deal to the study of one particular author's work. The idea is of more value, I think, when used to examine a broader spectrum, as it is, for instance, in Lisa Yaszek's "The Domestic SF Parabola." Domestic fiction was a form that emerged in the nineteenth century in which women are forced by circumstances to make their own way in the world and thus become heroic agents rather than passive victims. Yaszek looks beyond this model to the way that women in science fiction developed their own technological disciplines, what she calls "domestic engineering," in order to challenge "the labor practices and social relations associated with the private sphere of the home" (p. 106). Looking at a whole range of women SF writers, from Mary E. Bradley Lane in the 1880s onwards, including Lilith Lorraine, Judith Merril, Kit Reed, Joanna Russ, and others, she convincingly presents a coherent thread of narrative that has examined, contested, and opened up the position of women within the domestic sphere and within the wider society. Two other essays raise gender issues as part of a broader context: "Mad Scientists, Chimps, and Mice with Human Brains: Collapsing Boundaries in Science Fiction" by L. Timmel Duchamp is primarily concerned with notions of hybridity, a topic that is well served by a parabolic view that takes us from The Island of Doctor Moreau by H.G. Wells to the Aleutian Trilogy by Gwyneth Jones (1991-1997); while "Coded Transmissions: Gender and Genre Reception in The Matrix " by David M. Higgins looks at fictions, both amateur and professional, based on the original Matrix film, as a way of disentangling different generic readings of the film. Of the two, the Duchamp is the more interesting precisely because it is the broader, as is often the case in this collection. This is illustrated by the two essays that deal, in very different ways, with Mary Shelley's Frankenstein . "Back to the Filthy Workshop: 'Faithful' Film Adaptations of Mary Shelley's Frankenstein " by Nicholas Ruddick does pretty much exactly what it says on the tin: comparing six film and television adaptations of Frankenstein between 1973 and 2004. Though it raises questions about what might count as a "faithful" adaptation, and illustrates how different readings of the novel have resulted in very different films, this does in the end come across as one of the more pedestrian pieces in the book. In contrast, John Rieder's "The Mad Scientist, the Failed Experiment, and the Queer Family of Man: Sirius , Frankenstein , and the SF Stockroom" (is it my imagination, or are academic titles becoming longer and more cumbersome?) is one of the best essays in the book because it more thoroughly explores what the idea of the parabola might tell us about science fiction. By looking in detail at how Olaf Stapledon's Sirius (1944) stands in relation to Frankenstein , Rieder opens up the SF stockroom, the toolbox as I referred to it above, and demonstrates how certain devices are used differently at different points along the parabola while still connecting to each other, building on each other, referring back to each other. One of the interesting things about this collection is the way that the various essays are in conversation with each other, a very significant point given that one of the themes of the book is the sense of dialogue across time that is a feature of the SF parabola. Thus, for instance, "Dancing with Scheherazade: Some Reflections in the Djinni's Glass" by Terry Dowling seems like an almost too literal interpretation of the parabola by talking about the various influences on his own fiction. Yet even here a casual remark about William Gibson's Neuromancer and the film of Blade Runner having "a definite antiquarian cast with their sense of a thoroughly lived-in, well-used, world-weary tomorrow" (p. 29) resonates startlingly with Pawel Frelik's "The Future of the Past: Science Fiction, Retro, and Retrofuturism" which examines precisely this "backward gaze of the genre" (p. 206). Other discussions here include Gary K. Wolfe's "Babylon Revisited: Alternate Cosmologies from Farmer to Chiang" which uses the notion of a parabola to examine not alternate histories but rather those stories that break the alternate history model by suggesting an entirely different cosmology (his examples range from Philip Jose Farmer's "Sail On! Sail On!" to Ted Chiang's "Seventy-Two Letters"). Again there is a resonance, in this instance with Graham Sleight's "Breaking the Frame" which also examines an abrupt break in the model, in this instance the way that certain writers choose to throw the reader out of the story. The examples he chooses represent an incursion of postmodern playfulness into science fiction that is itself an indication of the non-generic status of science fiction: "Sf is not a unitary master narrative" (p. 37). All of these various themes and strands come together in Veronica Hollinger's concluding chapter, "Science Fiction as Archive Fever," which builds on "the striking symmetry between the logic of the Derridean archive and science fiction's own temporal logic as a future-oriented genre" (p. 242). Again, as with Frelik, we get a reference to science fiction as genre, which the whole thrust of the parabola, to my mind, undermines. I suspect this is an indication that the generic questioning of science fiction is still being absorbed and we don't yet know how we might most accurately refer to the literature. Nevertheless, such indeterminacy aside, this analysis of "sf’s archive anxiety as a significant response to Western experiences of post/modernity" (p. 259) neatly ties together the various conversations that has criss-crossed this collection, illustrating how aptly the notion of the parabola (and even, reluctantly, the parable) applies to the ongoing sweep of science fiction. What we have in this collection is, in effect, work in progress, as the notion of the parabola and its attendant ideas such as the megatext, the parable, and so forth, allow us to throw a new light on science fiction without us yet being entirely certain what it shows us. From the evidence of what I have read here, this is going to be a remarkably productive approach to the literature, but we are still very much at the start of the process. Which makes this an essential book to read if you want to have some understanding of where science fiction scholarship will be taking us over the next few years. I think it's been self-evident for a while that the term "genre" is not a good fit for science fiction, either as a critical term or merely a descriptive one. How many discussions, after all, have to differentiate between "science fiction texts" and science fiction "as a marketing category"? It makes for a useful shorthand because it is familiar, fits into a well-known and generally accepted taxonomy, and has an established historical usage. I suspect for that reason it will continue to be used. Myself, I prefer to think of sf as more of a "mode".